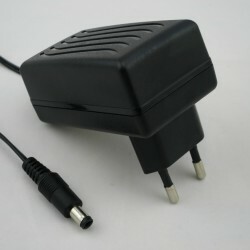 The DC Plug Splitter Plug allows you to connect anywhere from two to five LED light fixtures to a single power source. 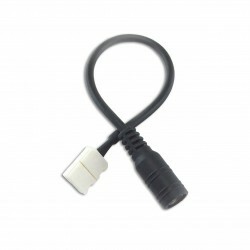 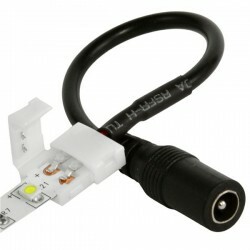 This DC LED splitter cable , through our 12V Inline LED Dimmer Switch, which both feature 1/4 inch DC plugs. 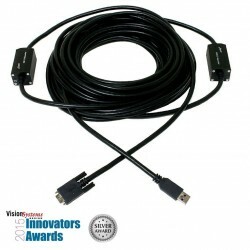 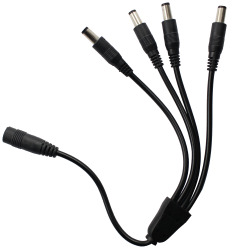 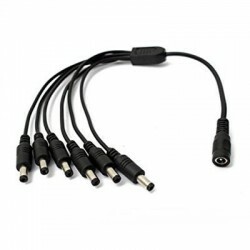 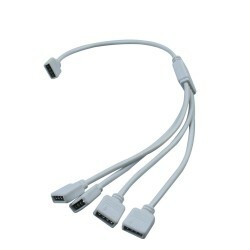 Using these splitter cables with a plug-in DC adapter couldn't be easier, as they plug directly into the adapters. 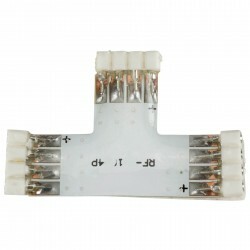 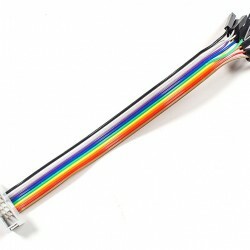 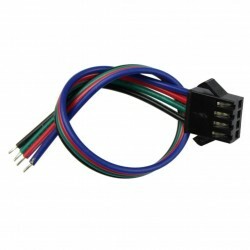 Our DC Plug Splitter Cables are available in three sizes: 4-Way, 6-Way, and 8-Way, this Splitters can also be employed in LED installations that require multiple sections of LED strip light: use this product together with our 8MM Strip LED connector with DC Plug, which converts the LED strip light connector type to the DC coaxial connection of the DC Splitter. 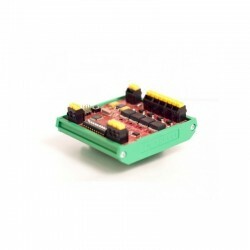 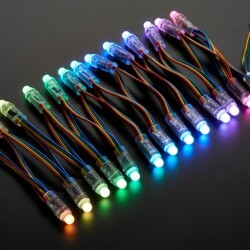 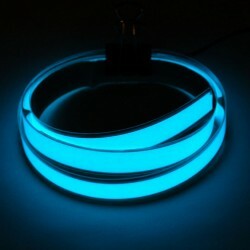 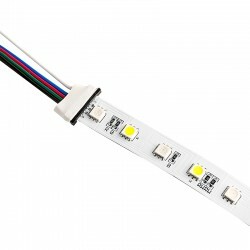 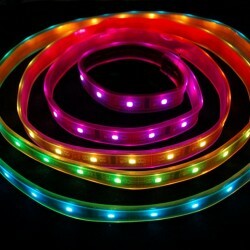 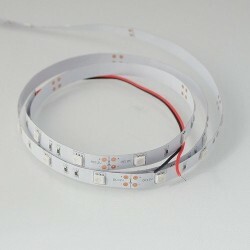 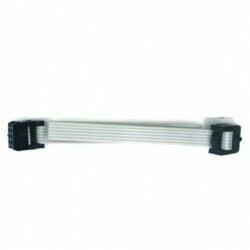 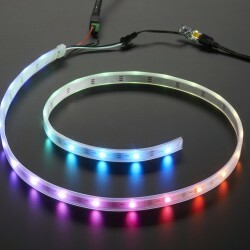 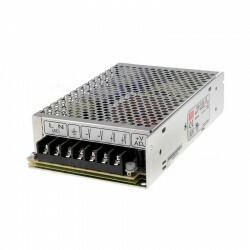 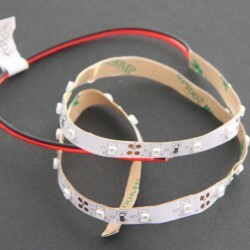 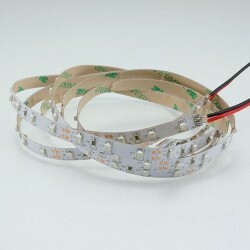 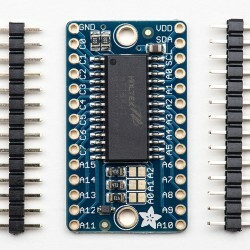 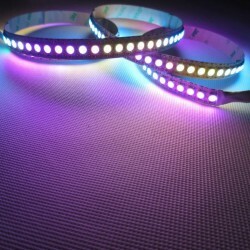 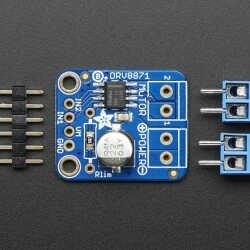 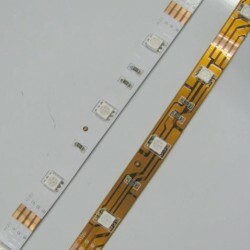 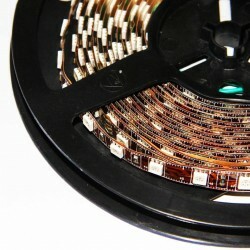 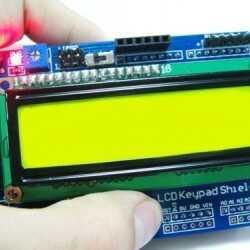 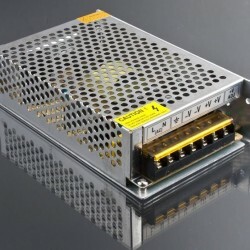 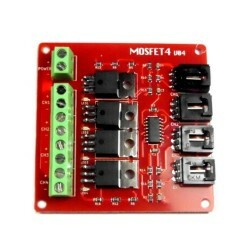 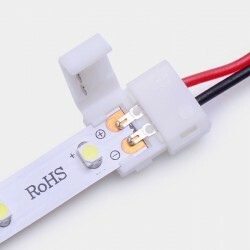 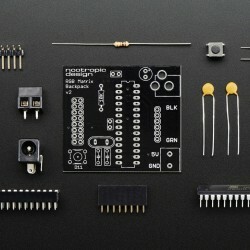 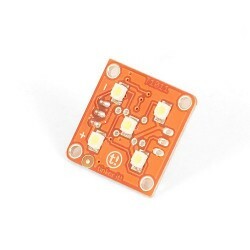 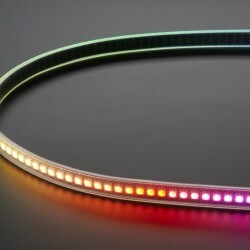 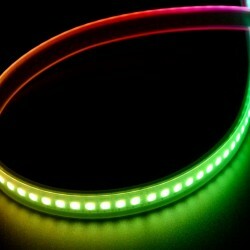 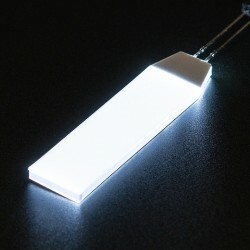 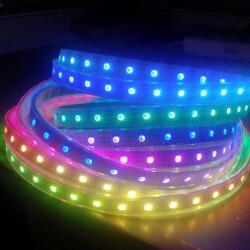 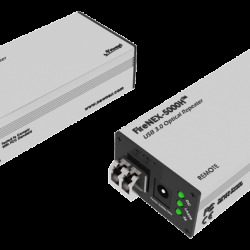 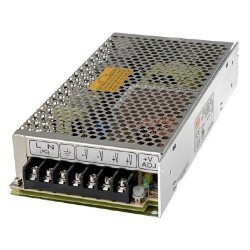 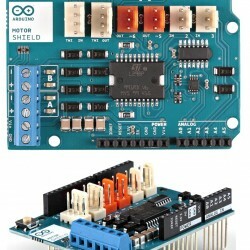 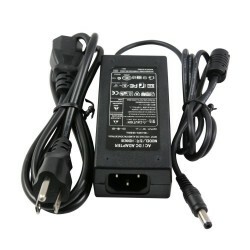 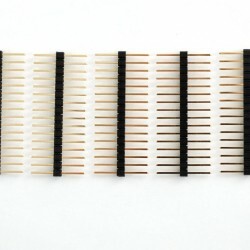 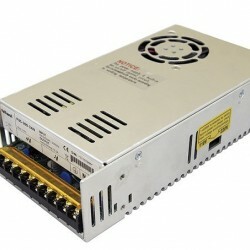 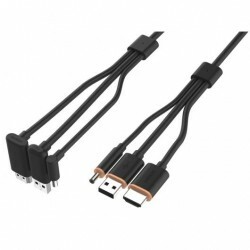 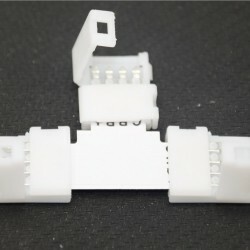 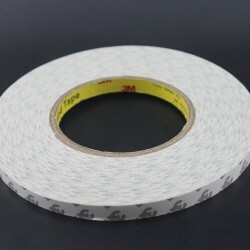 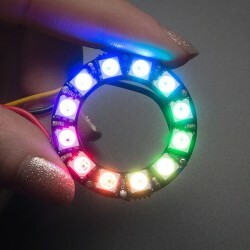 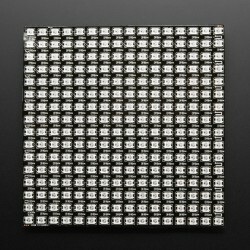 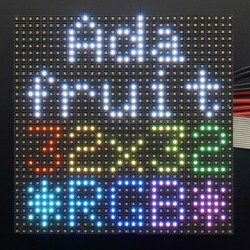 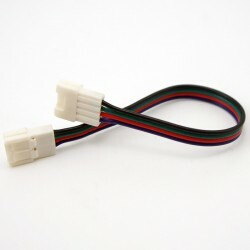 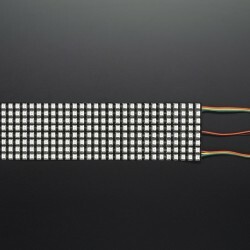 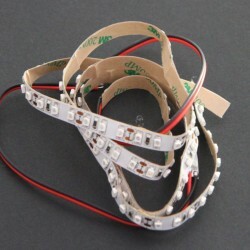 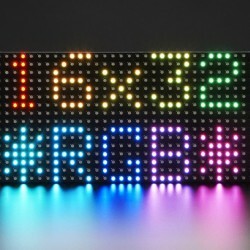 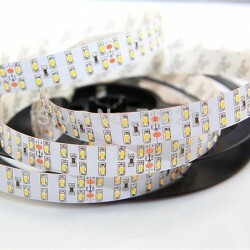 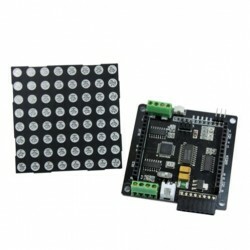 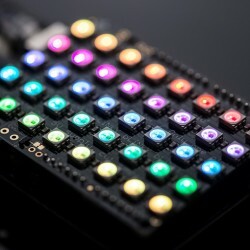 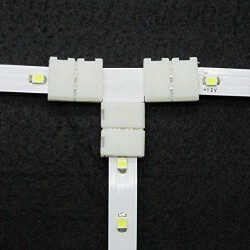 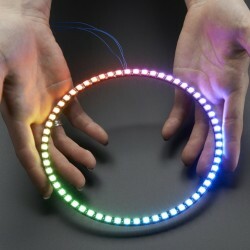 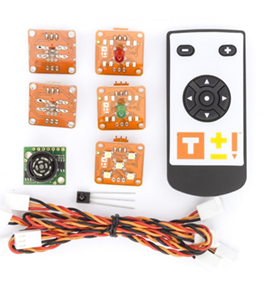 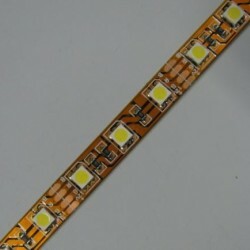 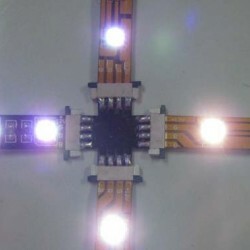 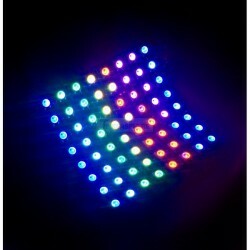 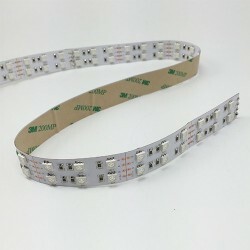 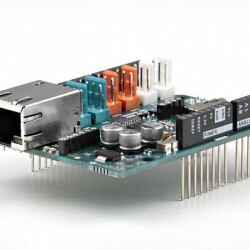 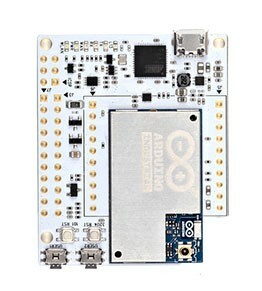 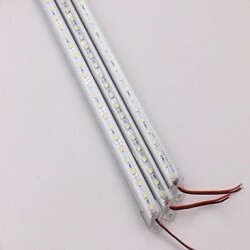 With this strip/connector/splitter combination, you can then simply and easily power two LED strip lights with one 12V adapter. 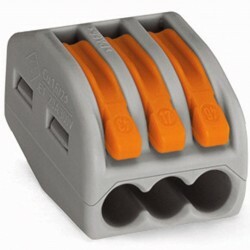 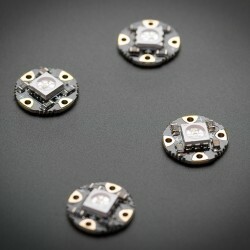 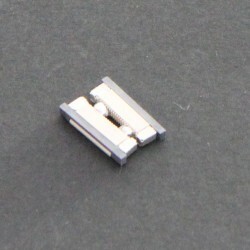 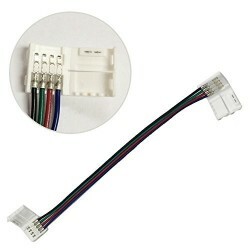 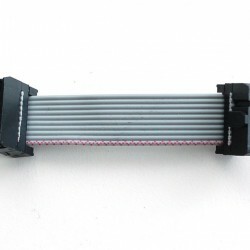 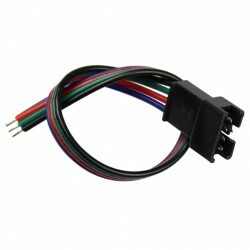 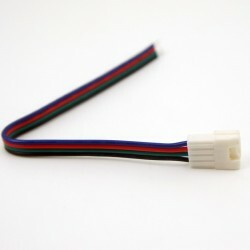 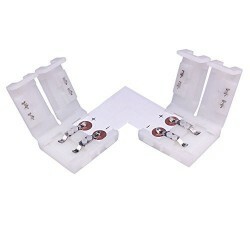 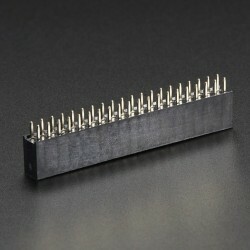 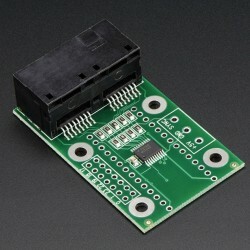 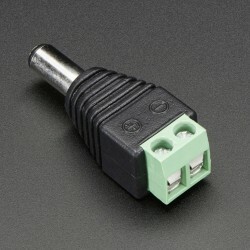 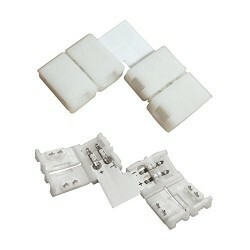 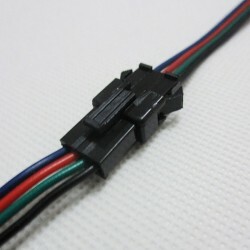 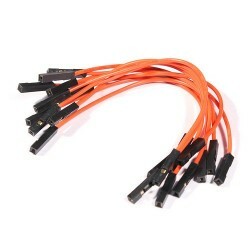 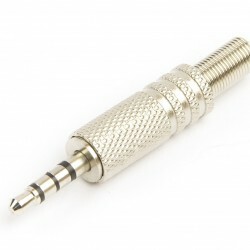 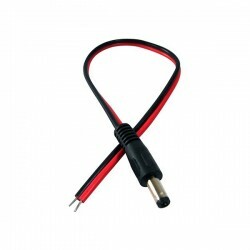 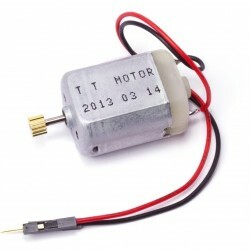 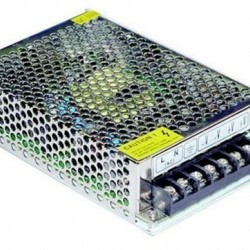 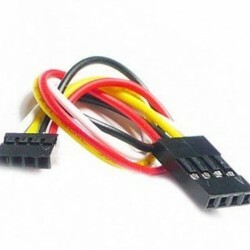 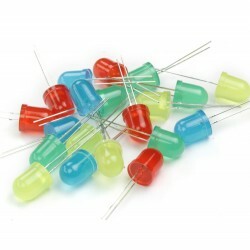 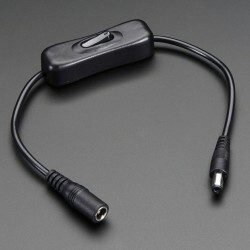 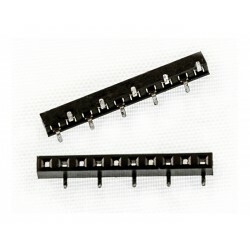 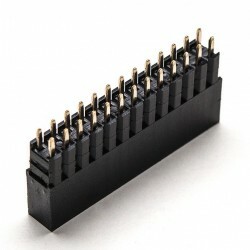 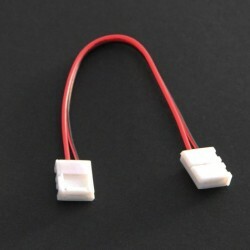 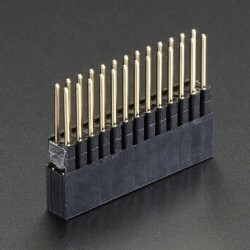 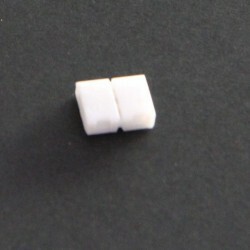 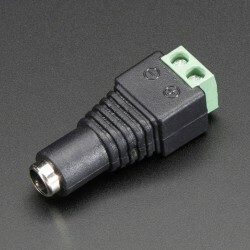 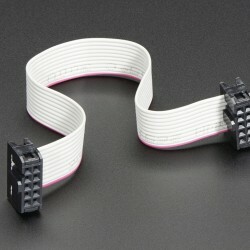 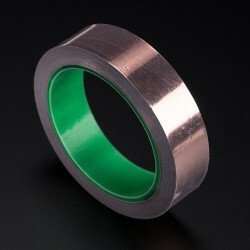 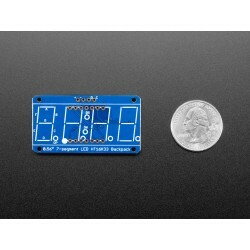 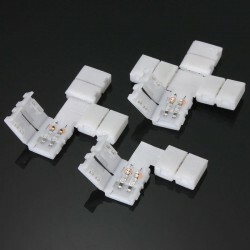 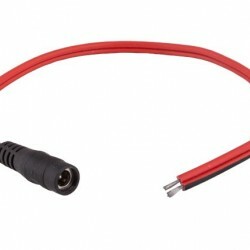 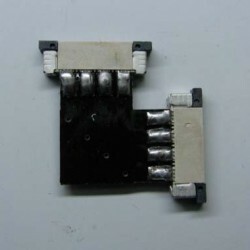 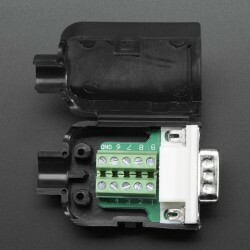 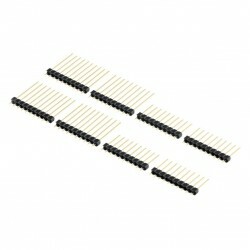 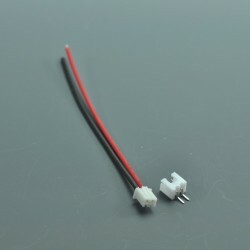 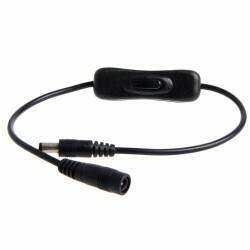 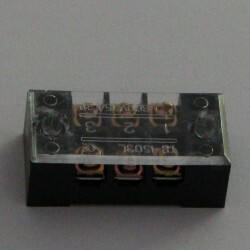 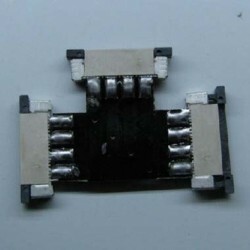 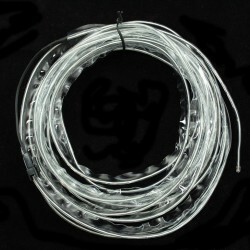 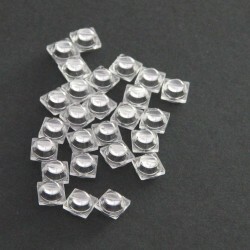 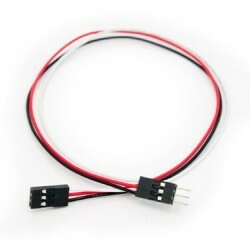 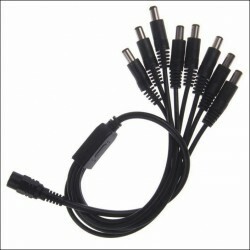 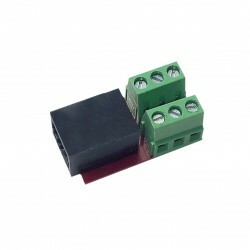 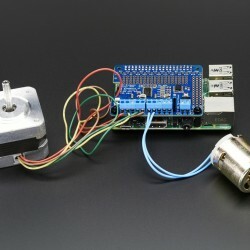 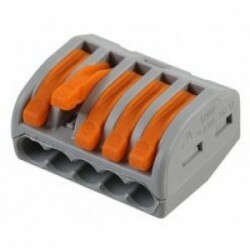 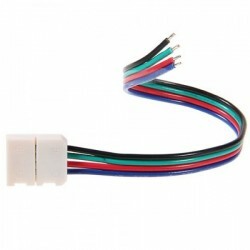 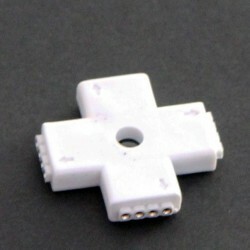 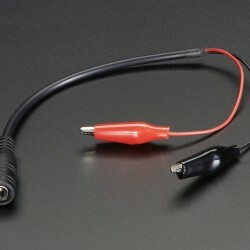 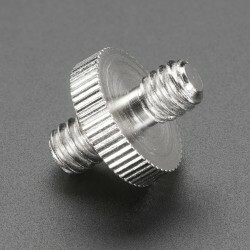 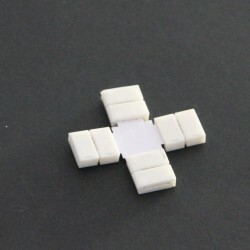 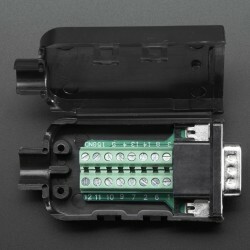 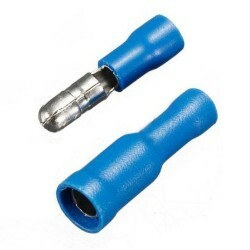 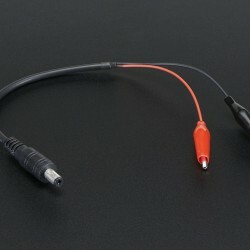 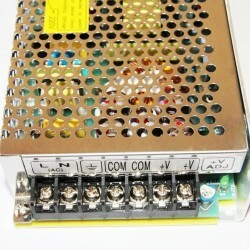 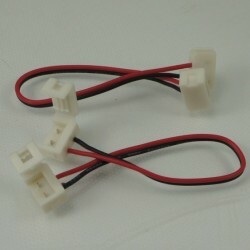 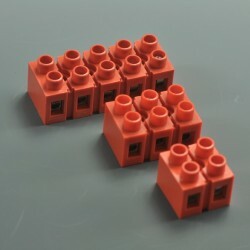 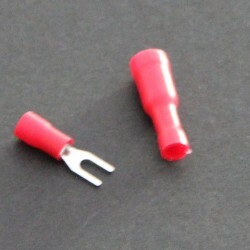 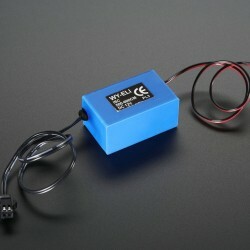 You can also use these splitter plugs in conjunction with a hard-wired 12V driver. 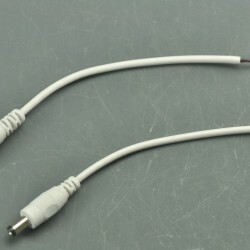 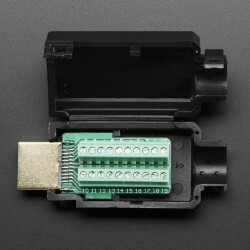 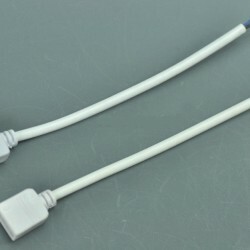 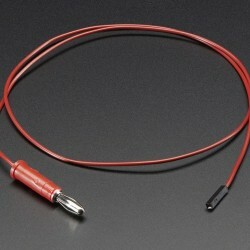 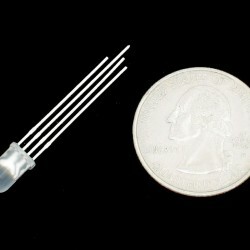 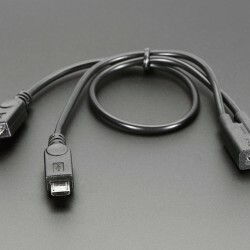 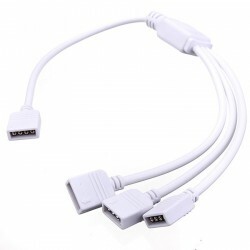 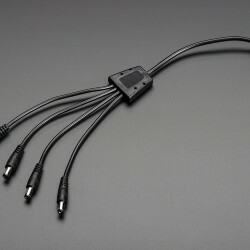 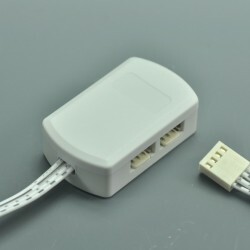 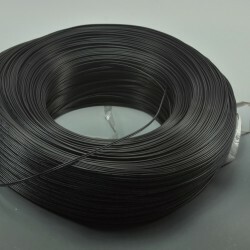 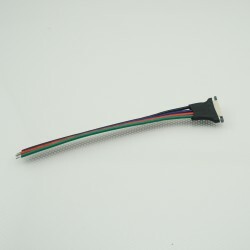 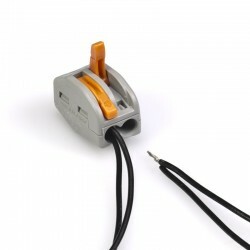 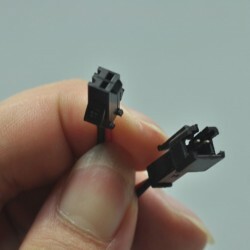 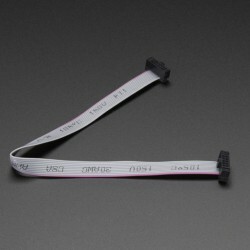 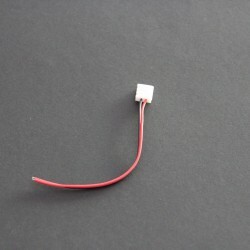 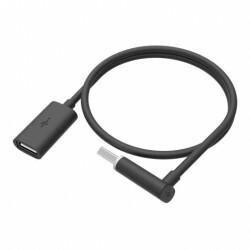 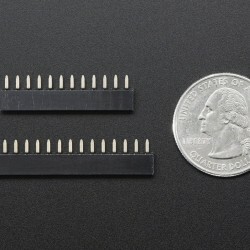 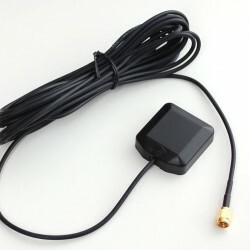 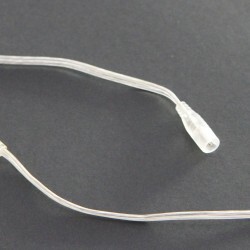 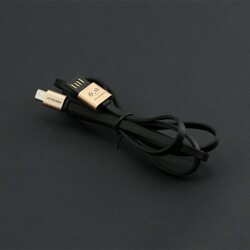 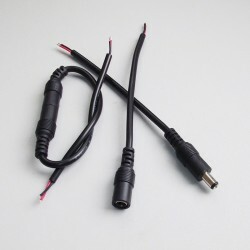 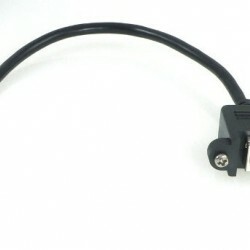 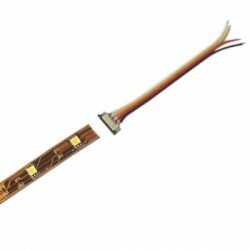 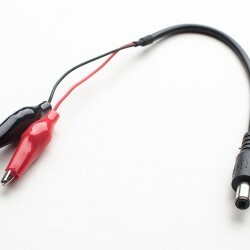 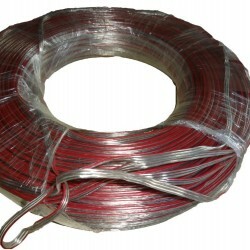 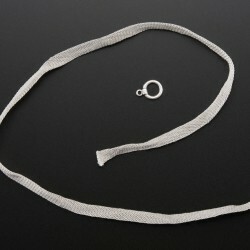 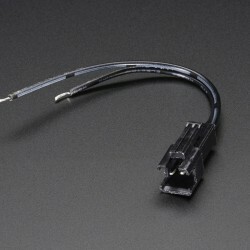 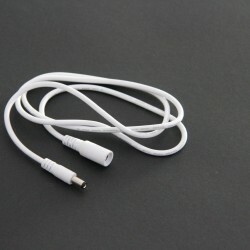 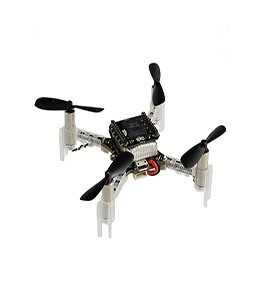 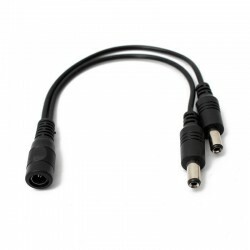 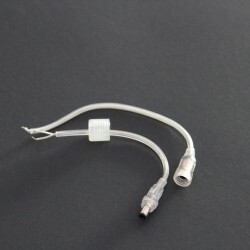 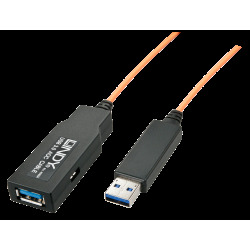 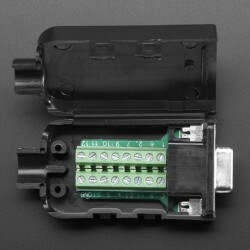 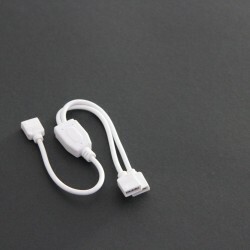 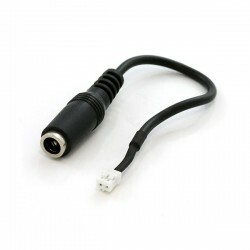 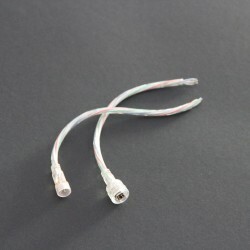 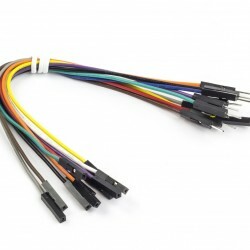 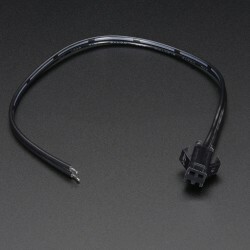 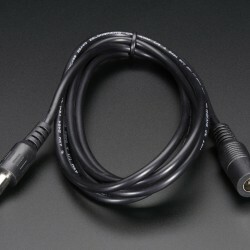 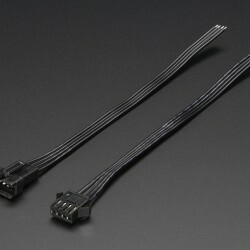 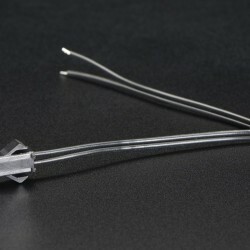 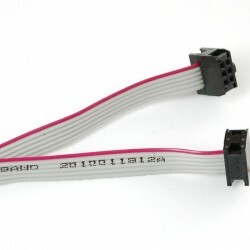 The DC Male Plug Cable or DC Female Plug Cable features a DC plug on one end for connection to the splitter cable, and two bare wires on the other for connection to the driver. 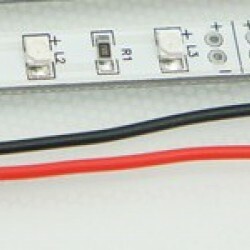 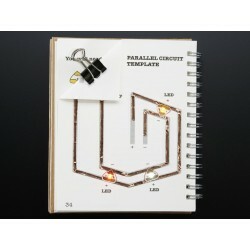 Perhaps you're wondering how much power you need to wire 2 light bulbs? 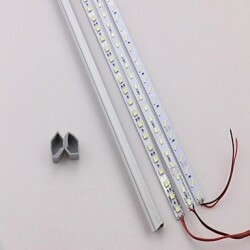 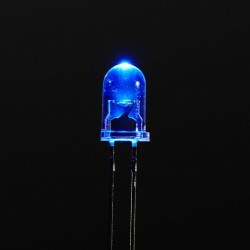 Each Brushed Aluminum LED Light bulbs consumes only 3 watts of Energy, so any 12V adapter above 12 Watts will provide sufficient power.